New York City Councilmember Fernando Cabrera was told he had less than 24 hours to live. Following intense chest pains, this father of two and devoted husband was rushed to the hospital and given an angiogram, only to find out that he was suffering from what’s referred to as a “widowmaker”—a near-full blockage of one of the heart’s arteries. Cabrera underwent immediate surgery where two tubes were inserted into his heart to keep the vessels open, but was given the dismal news that due to another clog, there were no contingency arteries in case of heart failure. Despite the dire prognosis, the surgery was considered a success. Determined to make the most of his second chance, Cabrera began researching how to turn his life around. The first change: no more red meat. The politician understood on some level that animal products were associated with poor health, but his blood pressure continued to rise. 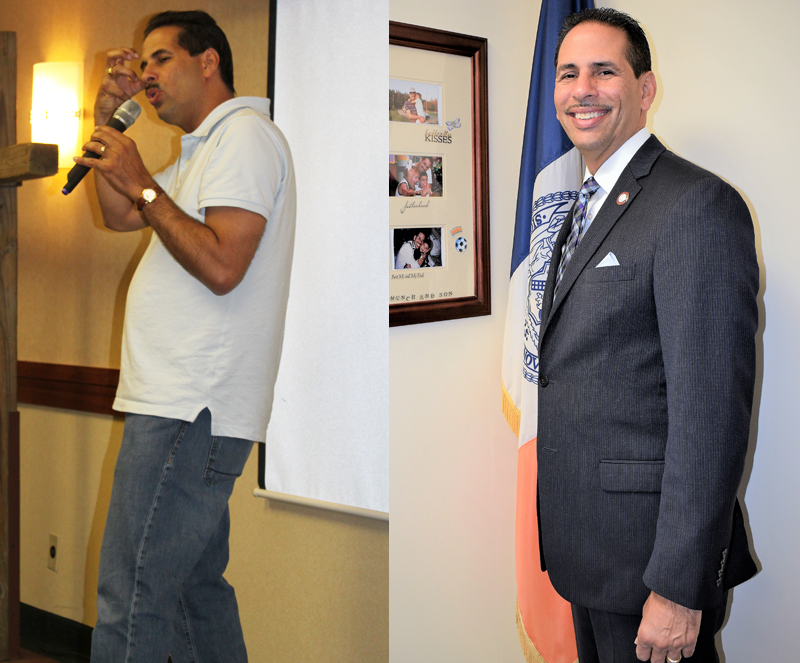 That’s when Cabrera sought the guidance of his friend and colleague, Brooklyn Borough President Eric Adams (featured in last year’s “Veganism Saved My Life”)—whose own story of reversing type 2 diabetes by adopting a plant-based diet was inspiring enough to propel Cabrera to adopt a fully vegan diet. Within just six weeks, his blood pressure returned to normal, and he completely weaned himself off of all the medication he had been told would be required for the rest of his life. Doctors were dumbfounded by Cabrera’s successes, stating that he had “amazing results, but not everyone can do what you did.” Cabrera didn’t miss a beat, responding with, “anyone who wants to live longer, will.” One year later, Cabrera couldn’t be happier about his decision to ditch animal products. “I feel fantastic,” he beams. “I feel younger. I feel alive.” For Cabrera, a life scare led to a true policy change—and he has never looked back.